LINCOLN, Neb. (February 9, 2017)- Folks still seeking out plans for the day of love are in luck. 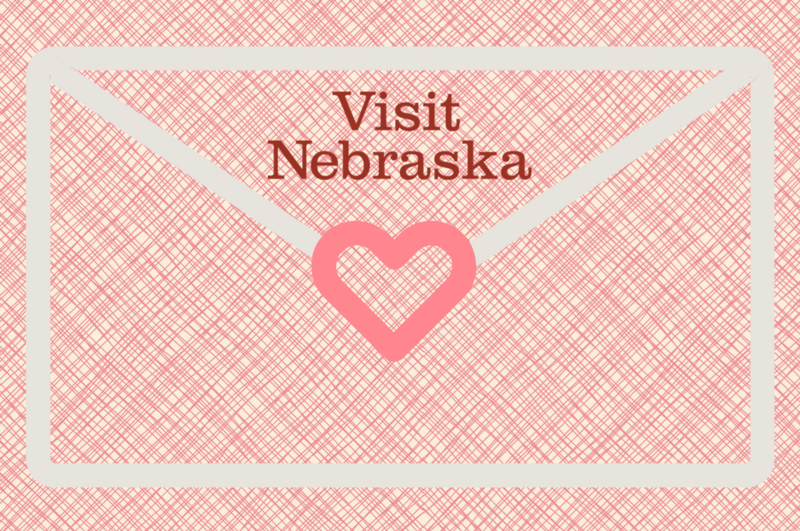 The Nebraska Tourism cupid is sending his arrow your way with some Valentine’s Day/weekend outing ideas. Dance and dine at the first-ever "Feast of Love" taking place at the Country Kitchen in Chadron. The event includes a three-course meal, drink ticket and flowers for the ladies. There will also be live entertainment brought to you by Razin the Bahr. Swing under the wings of a B-29 Superfortress and a KC-97 Stratotanker. Guests are encouraged to dress in their swinging-est 1940s attire as they swing to Gooch and the Guys. Proceeds support the operations of the SAC Aerospace Museum including aircraft restoration and educational programming. Reservations are required. Love is in the air all throughout Arbor Lodge Mansion. Step back in time and discover weddings related to the Morton’s with photographs, newspaper articles and diary entries. Let’s not forget the antique wedding apparel and Valentine’s cards. Stories of lust, love and Lyra –constellations are your guide to good relationship advice, at least for one night! The perfect Valentine’s Day evening begins inside Mueller Planetarium at the University of Nebraska State Museum- Morrill Hall. Enjoy a glass of champagne, chocolate covered strawberries and a one-night-only presentation exploring romance in the night sky. Experience a romantic departure from the average night out as the Lauritzen Gardens visitor and education center is transformed into Omaha's most romantic Valentine’s Day destination. All guests receive the first course, their choice of one main course, the dessert course and one glass of wine. Reservations are required.